If you’re studying at university in Edinburgh, My Baggage can help you get your luggage there quickly, safely and at an affordable price. 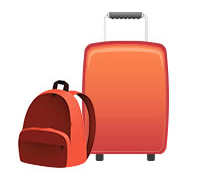 With My Baggage, students can send a suitcase or box weighing up to 30kg, from as little as £16.99. You’ll also receive door-to-door service, full online tracking and free text and email notifications. Edinburgh is one of the UK’s most popular cities for students, not just because it’s a beautiful place to live and explore, but it’s home to some world renowned universities such as: The University of Edinburgh, Heriot Watt University, Edinburgh Napier University and Queen Margaret University. 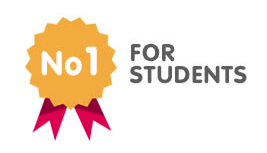 My Baggage is the No.1 Student Shipping Service for students in Edinburgh, serving all universities and private accommodation in Edinburgh. We provide an efficient, affordable and safe luggage delivery service for thousands of student in Edinburgh every term. All you have to do, is enter your address details along with the size and weight of your suitcase. Then book and pay online – this takes just a few minutes. Once your order has been placed, we’ll send you labels to attach to your luggage, then we’ll collect it from you and deliver it to where it needs to go. Student shipping with My Baggage is much cheaper than adding an extra bag to your flight and much less stressful than carrying heavy bags as you travel by car, bus or train. My Baggage offers door-to-door collection and delivery. So if you need luggage collected from home, or from your student house or flat, we’ll pick it up straight from your front door. If you are studying in halls and need items collected from there, we can’t come directly to your room for security reasons. However, all Edinburgh universities have a specific mail room or reception area where luggage is normally collected. Please check with your university halls of residence before booking. Again if you’re in a house or flat, we’ll deliver your luggage straight to your front door. If you’re in halls. we’ll deliver it to the mail room or reception area. Again – check with your university to find out where this is. My Baggage offers an express delivery service (delivered within 1-2 days) and an economy service (delivered within 3-4 days). You can choose which ever one suits you best. If you’re coming from abroad to study in Edinburgh, you can use My Baggage to ship your luggage over. We provide low cost, fast and reliable international student shipping to more than 200 countries worldwide. 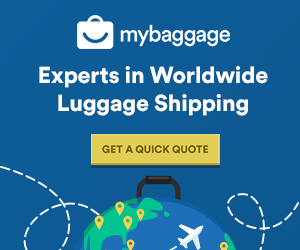 No matter where your luggage is going, you can get a quote from us any time.